Like many other organizations, K-12 schools, universities and other educational institutions rely on digital communication technologies for their day-to-day operation but are required to adhere to compliance legislation that deals with electronic data retention. Most of the critical and often sensitive student information flows through the school’s email system, together with teacher-parent communication, documents, official records, contracts and invoices. In recent years, the majority of school districts have become accustomed to adopting email archiving technology – on-premise or cloud solutions which enable centralized storage, protection and discovery of all email communication flowing through their schools. Before email archiving, this information was often lost or locked away in individual mailboxes, frustratingly inaccessible when needed the most. Email archiving ensures that all this information is stored, backed-up and safeguarded centrally on an ongoing basis. 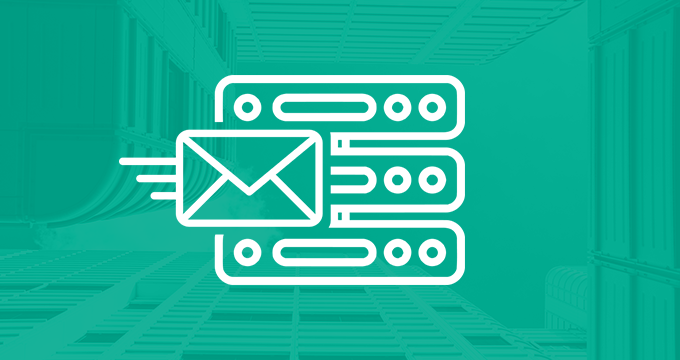 In addition, email archiving solutions have search and discovery tools built into them to ensure that organizations have access to the specific information they need, when they need it. Without a dedicated solution, schools may find themselves in trouble if required to produce historical email records under a subpoena. At other times, the presence of historical email records may help the school in building a case against a former employee. In this scenario, email archiving is an invaluable tool for an in house investigation, monitoring for workplace harassment, or arbitration of employee tribunal cases before going to court. Capturing and archiving business data is vitally important, no matter the industry. But email is no longer the only electronic channel that’s used to exchange information. Collaborative systems like social media and instant messaging platforms offer a sense of immediacy and conversation that’s hard for email to match. Near-instantaneous communication facilitates problem-solving and quick clarifications of instructions, so it’s no surprise these conversational tools are popular. Since January 2017, the global use of social media has increased by 13%. A 2018 research showed that 80% of colleges used Facebook to attract applicants. According to Pew Research Center’s survey Teens, Social Media and Technology 2018, 95% of US teens aged 13-17 have access to a smartphone, 85% are on YouTube and 72% are on Instagram. In a country where the number of school shootings has risen by 27% in the last 5 years and suicide is the third leading cause of death among persons aged 10-14, having a comprehensive social media monitoring strategy sounds like a logical and mandatory step for every school district. Tools such as Slack, Skype or Facebook groups are replacing email for collaborative projects and everyday discussions among teachers and students. While IM platforms are a popular tool in the education industry, they don’t have any internal backup or archiving capabilities necessary from the compliance standpoint. During audits, lawsuits or FOIA requests, school districts may be called on to provide records of discussions their staff and students had on instant messaging platforms, but very few have such records. Effective and comprehensive policies for documentation, along with the right tools, can both protect organizations and provide opportunities for development and growth. It’s possible to capture social media and IM data and transform it into a granular, searchable database. School districts that can effectively gather and securely store email, social media and collaborative tools data are protecting themselves if regulatory or legal should arise while also ensuring that important data isn’t lost to mass deletions or a lack of policy. Managing risk is one of the most important ongoing needs for organizations, and schools are no exception. Plenty of businesses have teams or entire departments dedicated to managing various forms of compliance, regulatory requirements, and legal matters. This approach to risk management, seen across many different companies and markets, hasn’t been adopted in a widespread fashion when it comes to social media. Many organizations still have serious concerns about using social media as a business tool. Reputational risk and the potential to sully a company’s name. Consulting firm Deloitte pointed out that reputation management has to be one of the largest concerns for businesses. Regulatory and legal concerns, such as the potential for divulging information before regulations or laws allow it. The loss of intellectual property, like inadvertently sharing internal communications or trade secrets. Fear of a new, unknown and potentially complicated system, especially one that involves less than complete control of the conversations started and opinions shared. These are all legitimate issues which, if left unchecked, can result in negative consequences. However, there are approaches, systems, and solutions – like social media archiving – that minimize these risks and allow businesses to use social media effectively and securely. With social compliance and monitoring systems in place, school leaders and other stakeholders don’t have to constantly deal with concerns of inadvertently sharing intellectual property or sensitive student data, divulging insider information at an inopportune time or breaking relevant laws and regulations. Social media archiving and monitoring platforms that allow granular indexing and automated keyword searches go a long way toward eliminating these risks. With such systems in place, the major issues that schools have with social media are almost totally removed. By taking an active stance in terms of social network use, K-12 schools can discourage disruptive behavior, establish stronger evidence and realize the potential to mitigate legal or regulatory issues. With social networking being a common activity among students, teachers and parents, capturing and archiving what’s said on those channels is important. 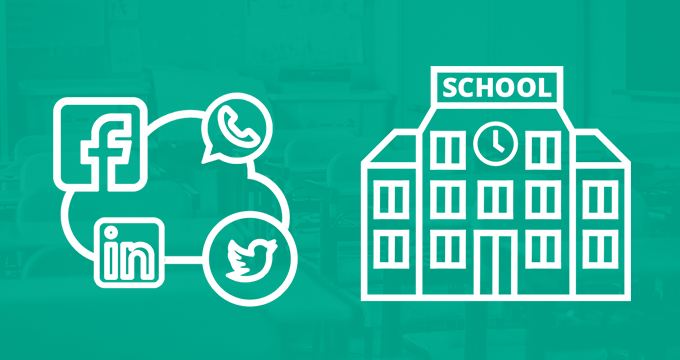 Various archiving and monitoring solutions have been designed to assist schools in capturing the information shared on social media and instant messaging platforms, improve compliance and facilitate Freedom of Information and eDiscovery response. Because of privacy concerns, most solutions are still able to capture only publicly available posts and employ geofencing technology to retain only the data that has been exchanged on school grounds. However, newer SaaS-based solutions come integrated with the provider’s existing email archiving software and enable single-platform access and control. Such solutions typically capture content from social media, BYOD and enterprise-owned phones and have the ability to capture direct messages exchanged on IM platforms such as WhatsApp. Social media and instant message archiving provides valuable insight for educators and administrators. The secret lives of students (and teachers) on social networks – lives that inevitably cross over onto school time – are revealed to an extent. The information provided by such solutions empower school leaders to take action against harassment more quickly than would otherwise be possible, even if the abuse isn’t visible in the physical halls of a school. The prevention of bullying is not the only reason why K-12 schools should adopt social media and IM archiving tools. Compliance with local, state and federal laws related to reporting incidents with students is a major concern for school boards, administrators and educators alike. A failure to follow those rules and regulations, especially when it comes to documenting confrontations, can lead to issues with regulators as well as legal challenges from families who had children harmed by such actions. Monitoring turns social media data and IM chats into actionable information and compliant records needed for various legal and regulatory challenges. Jatheon is an email, social media and mobile archiving specialist with 15 years of experience in K-12 education. 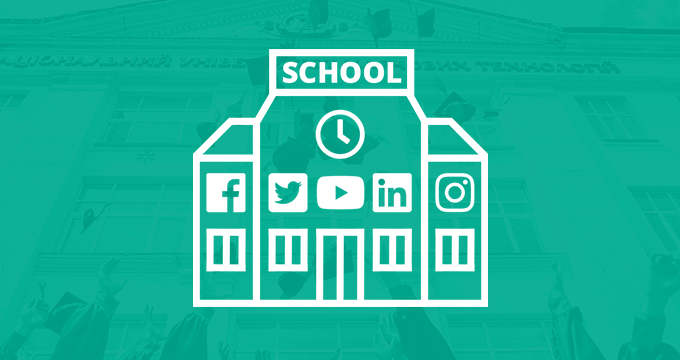 With Jatheon’s new add-on for social media and mobile archiving, your school will be empowered to properly and securely retain, search and control various communication data in a single repository and improve compliance, eDiscovery and open requests response. To discuss your archiving plan or get more information, contact us or schedule a personal demo.